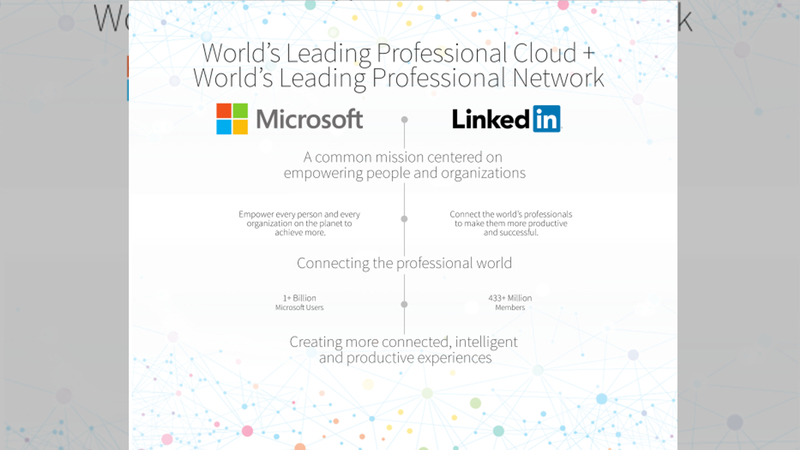 What the Microsoft-LinkedIn deal means for CRM Officers? 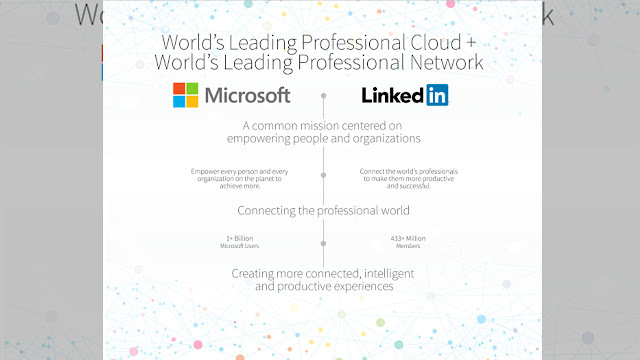 In a surprising move, Microsoft Corporation has bought LinkedIn for US$26.2 billion. Some of us can't believe why a big-shot tech company has bought the so-called "Facebook for professionals," but for those who are tending to the aspects of Customer Love such as Customer Relationship Management, Customer Loyalty and Rewards, Customer Experience and the like, this deal is big. A Wall Street Journal report even says that the deal will be very beneficial for Microsoft's Dynamics CRM line. The social network for business has 434 million users, citing the WSJ report, and tying it to the company's services may prove to be beneficial. Imagine this: You're in a company that serves big clients, and it uses the Microsoft Dynamics CRM. Most (if not all) of the client's employees that you have spoken with are on LinkedIn. If Microsoft integrates LinkedIn to Dynamics, you can see their profile pages - or even their current status updates. "[...] LinkedIn is a content company. In effect, Microsoft has just bought one of the world’s most influential, specialised, highly read, constantly-updated (and, it must be said, occasionally annoying) digital media companies around. [...]"
The tech giant also thinks to tie the social network to its Office suite, and that's just two of the many possibilities. Still, LinkedIn will act independently from other Microsoft services, according to a letter written by the social network's CEO Jeff Weiner. This post is part of the "Love thy Customer" series as part of the preparations leading to the Customer Love Fest, which will happen at the New World Hotel, Makati on October 20 to 21, 2016 from 9am to 5pm. This event will feature key resource speakers and the latest concepts in customer rewards. Join in on the fun and don't be left out.